What Happened to #BringBackOurGirls ? The Nigerian army claims Boko Haram has been “technically defeated” meanwhile deadly terror attacks continue, but where is all the press coverage? It has been over three years since the abduction of 276 girls from a secondary boarding school in Chibok, Borno State, Nigeria on 14 April 2014 by the terrorist group Boko Haram. Boko Haram, whose name translates as “western education is forbidden”, has carried out violent acts of terrorism in Nigeria, Chad, Niger and Cameroon since the 2009 uprising. The most widely reported Boko Haram attack has been the abduction of the 276 Chibok schoolgirls. Some of the girls managed to escape shortly after their capture; 100 girls have been freed with the help of the International Committee of the Red Cross (ICRC), but 113 are still unaccounted for. It is not known if they are still held captive by Boko Haram or whether they have died. Shortly after the abduction of the girls in 2014, a social media campaign #BringBackOurGirls was launched as a call to action for the international community to find and return the Chibok schoolgirls. Within three weeks the hashtag had been used over 1 million times. One month later and #BringBackOurGirls was tweeted over 3.3 million times, with the most popular tweet coming from First Lady of the United States Michelle Obama on 7 May 2014. Today, the #BringBackOurGirls twitter account has over 23,000 followers. The criticism here is not of the Nigerians behind the twitter campaign, but rather of those who have now moved on. Oby Ezekwesili, a former education minister, co-founder of anti-corruption group Transparency International, and one of the three Nigerian campaigners to set up the grassroots campaign, took to the internet after the indifferent response from the Nigerian government. A presidential statement was not released until two weeks after the girls has been taken, and the president’s wife gave her opinion that the abduction was really a plot to bring down her husband. Ezekwesili was right: the voices did grow into millions. But then they disappeared again. Putting aside the issues inherent in translating social media success into real life change, what is troubling is the lack of attention the western mainstream media, particularly in the UK, is now giving this subject of the missing Chibok girls and the ongoing Boko Haram attacks in general. Since the much anticipated return of 82 of the girls to their families in May this year, some of the major British news publications have gone quiet on the subject, despite the 113 girls still missing. The reality that the case of the Chibok schoolgirls is “just a drop in the ocean” should not be news to anyone. Thousands of men, women and children have been abducted or killed, and approximately 2 million people have been displaced as a result of Boko Haram violence in the last eight years, and attacks are still carried out on a weekly basis around northern Nigeria. So where are all the news stories? The Guardian UK, for example, has published only three articles online about Boko Haram in the last two months since the release of the 82 Chibok girls, although none reported any attacks by Boko Haram. The Independent has published four articles since May 2017 reporting only one attack – the suicide bombings in Borno in July. The Telegraph too has published around four articles and only one of which reports an attack: July’s ambush of the Nigerian oil exploration team. Sky News online has printed no articles to date since the Chibok girls returned in May. The BBC and Daily Mail online do rather better in reporting Boko Haram attacks, the latter sourcing much of its reports from Reuters. Most of the reports of Boko Haram violence instead come directly from local news outlets from Nigeria or its border countries. In the last month alone, there have been reports of at least 8 deadly attacks in Nigeria and its border countries by Boko Haram, killing over 100 civilians, and injuring and displacing many more. There have also been reports of the killings and arrests of some Boko Haram members, as well as a story about authorities in north-eastern Nigeria digging a 17-mile trench around the University of Maiduguri to prevent attacks by Boko Haram militants. That is to say, there is certainly news to be shared. Understandably there are barriers to journalism and press freedom in Nigeria. Reporters Without Borders (RSF) has said journalists are “often threatened, subjected to physical violence, or denied access to information by officials and police” as well as threatened by Boko Haram militants. Most troubling of all is the belief that Boko Haram are in significant decline, a message that is perpetuated by the Nigerian authorities. For those people monitoring the Nigerian security situation through official public statements, the picture is not exactly an easy one to decipher. On numerous occasions in the last several years, Nigerian authorities have prematurely declared, against all evidence to the contrary, that Boko Haram has been “defeated”. Yet, even this message becomes confused. Nigeria’s army chief Lt Gen Tukur Yusuf Buratai echoed this in declaring in July “militarily, Boko Haram have been defeated.” Furthermore, a tweet sent by the Nigerian army from the account @HQNigerianArmy on 5 August read “Boko Haram remains technically defeated forever”, a claim made despite a recent attack on a hospital in Maiduguri that same week. At the same time, Butarai has also said “the war has not been won and all is not over until it is over”. According to the Global Terrorism Index 2016, Boko Haram was the world’s deadliest terrorist group in 2014, overtaken by ISIL in 2015. There has been no Terrorism Index in 2017 but in the Global Peace Index 2017, Nigeria is still the 13th least peaceful country for domestic and international conflict, and the 15th least peaceful country for societal safety and security. Boko Haram terrorism is certainly on the decline, but the attacks have not gone away, the death toll keeps on rising, and the world needs to know about it. At HART we work hard to advocate for Nigeria’s victims of poverty, underdevelopment, and instability. While it is our partners that work continuously to bring reconciliation to Christian and Muslim communities, at HART HQ it is our responsibility to be a voice for the voiceless. Every week we compile a news round-up of headlines and major stories from our partner locations. We are dedicated to always reporting the events as they happen and speaking up for those whose lives continue to be in turmoil as the result of Boko Haram’s cruel and violent terrorism. 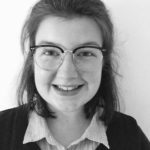 Emma is a Campaigns and Research Intern at HART, having recently completed undergraduate and postgraduate study in History. Her research has looked at political and social movements in history, particularly concerning gender and women's issues. Emma is now focused on human rights and women's rights, and wants to begin a career in research within the charity sector.